Her older brother (aka best friend and yarn bombing accomplice) leaves without a word. And then the worst ever of worst evers: BEES. IN. HER. HAIR. Told from the alternating perspectives of Zinnia, a humorous young loner and knitter, and an unintentionally comical hive of honeybees, this quirky, heartfelt novel will strike a chord with anyone who has ever felt alone, betrayed, or misunderstood as it explores the challenges that come with learning to trust yourself and the often messy process of discovering the true meaning to home. 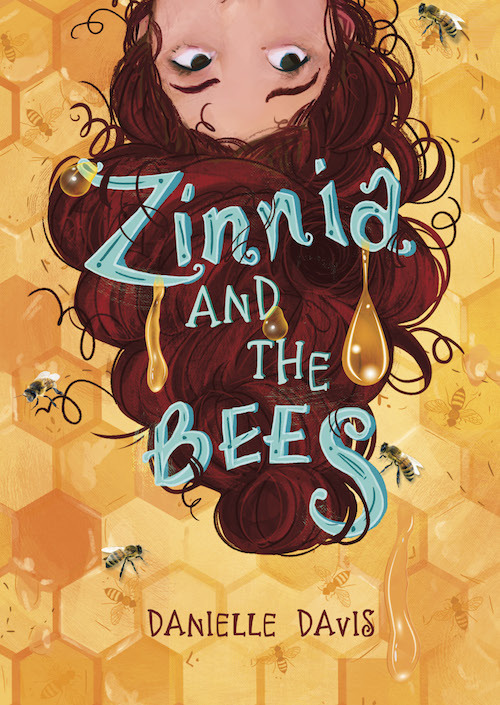 Zinnia and the Bees was a Southern California Independent Booksellers Association 2018 Book Award finalist in the middle grade category. Or buy the book at your local, independent bookstore!! If you order through Skylight Books you can have a signed copy shipped to you by mentioning you’d like yours autographed in the checkout comments! 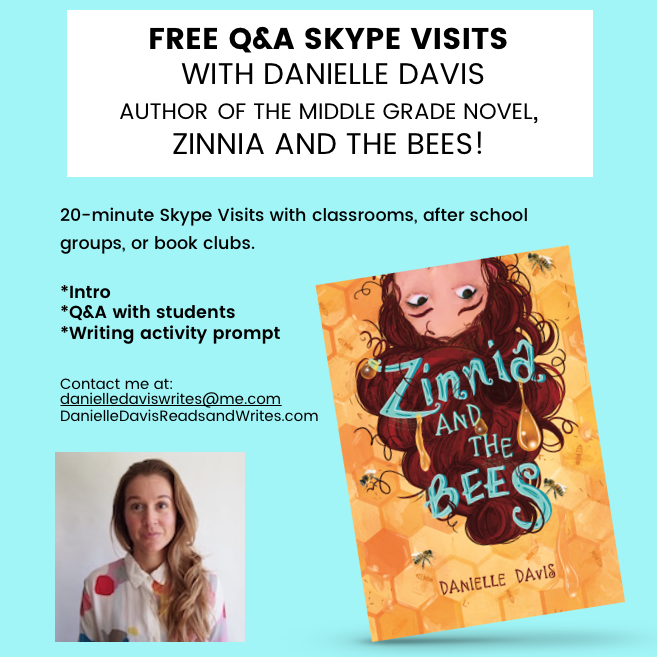 Download the Zinnia and the Bees discussion guide and bee facts! See an author video about the book. And a printable pom-pom craft tutorial found here! Plus, a one-sheet with a bunch of stuff about the book in one place. A full-day “unconference” for educators! I'm Danielle Davis. I grew up in Singapore and Hong Kong and now live in Los Angeles. I've got an M.A. in literature and creative writing and a number of my short stories have been published in literary magazines. I've also had the privilege of teaching English to middle school and community college students. Now, I read and write and enjoy volunteering with literacy organizations. I blog about picture books at This Picture Book Life. 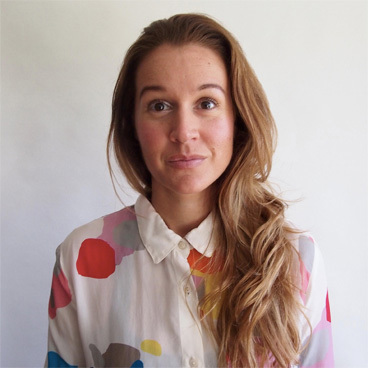 I offer free 20 minute Skype visits with classes or groups! 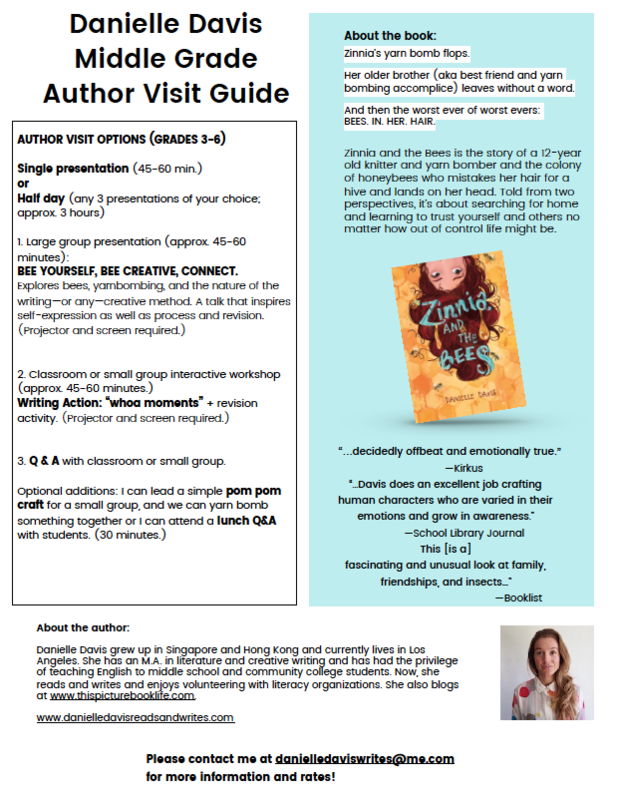 Please drop me a line if you’re a teacher, librarian, or book club leader and would like to schedule an author Skype or Google Hangout. And I’m currently scheduling school visits for 2019. You’ll find all the info in this downloadable PDF. Then please drop me a line if you’d like to schedule one! Or sign up for my newsletter!